"X2Pro is a really great app that works seamlessly as a fantastic piece of the FCPX ecosystem." "I love X2Pro. Editing in FCPX has changed the way I work but it's your product and others like it that have genuinely made FCPX a viable option for me." "We are finishing up our first feature film that we cut on FCPX and as we moved into our sound mix X2Pro was fantastic. We were lucky enough to take our audio mix to Skywalker Sound and everything about the workflow has been really great." "We needed to send an AAF to the mixers and we had to come up with a solution quickly. I asked around, and X2Pro was the number one recommendation from every editor I spoke to. I now understand why." "I’ve used X2Pro on dozens of jobs over the past year to send Final Cut Pro X edited audio sequences to a Pro Tools audio workstation, and it works like a charm. The ability to use FCPX Roles to organize tracks has made me quite popular with the sound designer. I’ve been equally impressed with the software developers, who are very responsive to changes in workflow by quickly updating X2Pro to support new camera audio formats. Kudos all around for an elegant solution that just works." "We could not have worked with Final Cut Pro X and an external sound studio without X2Pro. X2Pro is now crucial to our workflow." 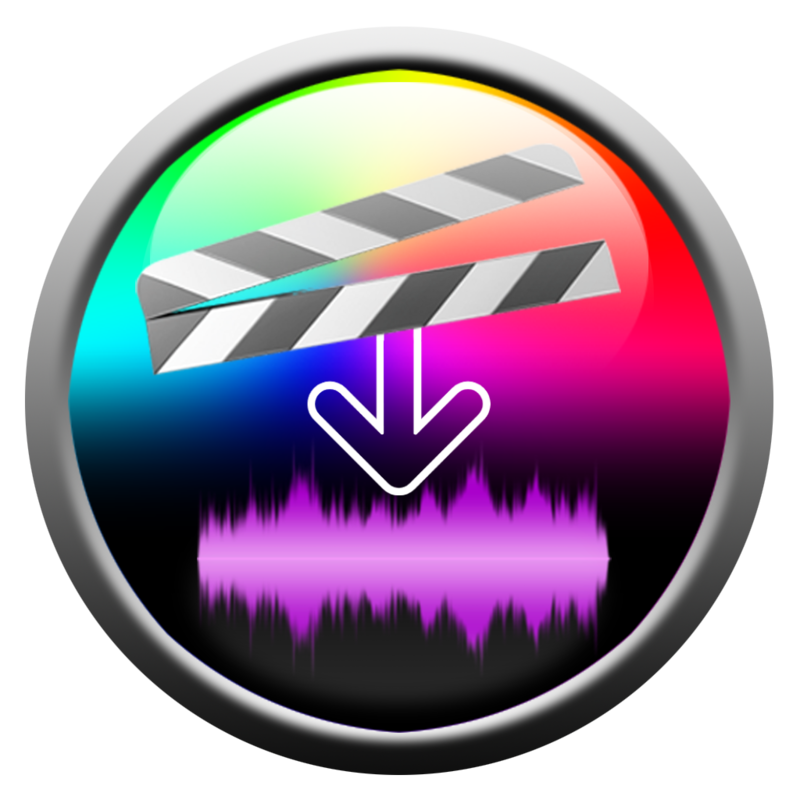 "I began to work professionally with Final Cut Pro X after X2Pro was first released. Because all my work requires sound mixing, I needed to be able to export an AAF out of Final Cut Pro X. The solution allows me to send my Final Cut Pro X timeline to sound engineer to be mixed in ProTools (or Nuendo)." “X2Pro is an excellent app which is being developed with real care and attention. In the past, when projects were begun in Final Cut Pro X it was a challenge to bring them in to Pro Tools for high quality sound finishing. Now, with X2Pro, the workflow is easy and precise. We are already looking forward to the next release." "An excellent app which is being developed with real care and attention - highly recommended." “I chose X2Pro for a short film I was working on that needed a lot of audio work and it easily handled my project’s more than 32 audio tracks. I think that all professional editors who use Final Cut Pro X and Pro Tools should get this plugin — it's an essential part of my workflow." "This app just keeps getting better. If you use FCP X in a “pro” environment and need to send audio to ProTools (and quite a few other DAW’s) you *absolutely* need this. Indispensable. Your mixer will love you. :-)"
"With X2Pro Audio Convert I'm finally confident that my projects transfer as they should to Audio Post. X2Pro´s smart use of Audio Roles keeps my audio well organized all the way to Pro Tools." "Just what you need if you want to deal with sound! I love FCPX, I used it every single day as a pro editor for more than 12 years. The only thing I don’t get it’s the no-AAF (nor OMF) export available in the app. Fortunately, X2Pro is here to solve this problem. It works very well, perfect AAF files. Can’t work without it!" "I've now used X2Pro several times and am very impressed with it. Each time, I find myself less anxious about translation issues as it still has a perfect record as far as my projects are concerned." "We are using it on a regular basis. I know it supposed to send wrapped audio file for Avid Pro Tool (AAF) but we use Steinberg Nuendo and it works perfectly."